Eggs thrown at newscaster live on air Jump to media player A newscaster in Greece has been covered with eggs and yoghurt by protesters who broke into the television studio. 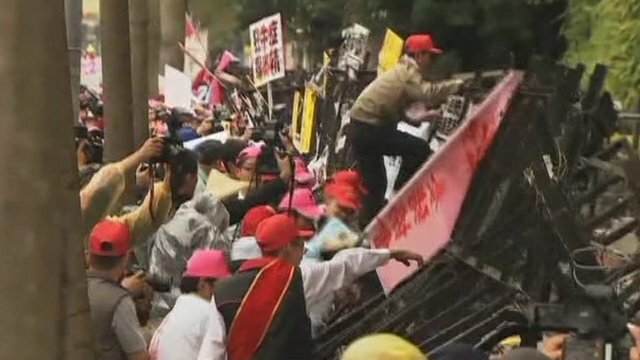 Rotten eggs thrown at ministry Jump to media player Thousands of Taiwanese farmers have thrown rotten eggs and pig excrement at the agriculture ministry in Taiwan. 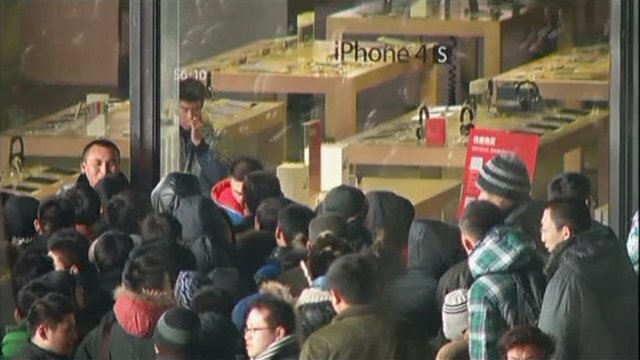 Beijing Apple store is egged Jump to media player Apple has said it will halt the sale of all iPhone models from its stores in China, after large crowds disrupted the launch of the iPhone 4S. 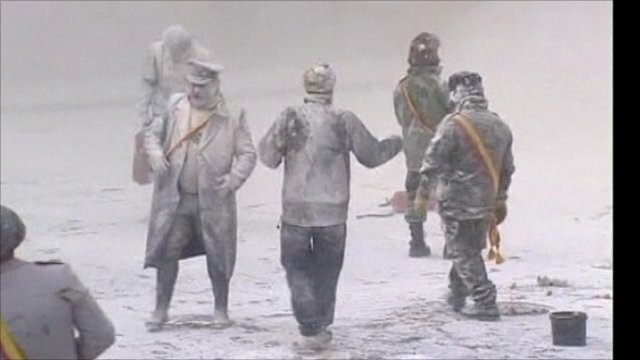 Flour fight turns Spanish town white Jump to media player An annual flour fight festival, ''Els Enfarinats,'' has taken place in the Spanish town of Ibi in Alicante. 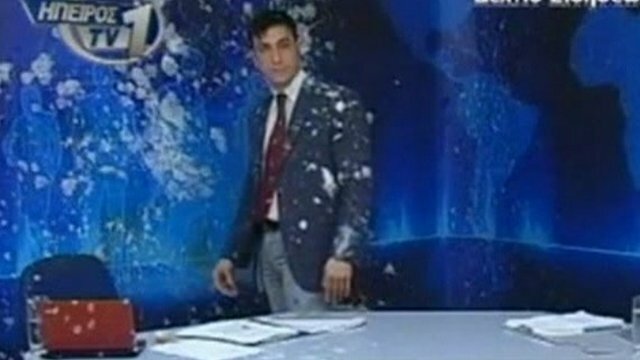 A newscaster in Greece has been covered with eggs and yoghurt by protesters who broke into the television studio. Epiros TV1 said 17 intruders, whose faces were hidden behind handkerchiefs, broke into the studio during the Friday evening newscast. Panagiotis Vourhas, who was interviewing a local politician, bore the brunt of the attack - apparently because the previous week he had invited an openly neo-Nazi party onto his talk show.